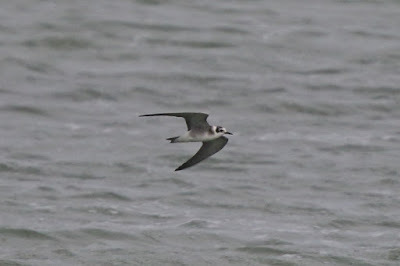 On Tuesday morning, I set out with Dante on my first coastal mission of the autumn. There wasn't really a specific weather related reason why Tuesday was the day, more to do with other commitments for the rest of the week. But it turned out pleasantly satisfying in a low key kind of way. After all it's still August so it's the warm up before the big autumn event kicks off. We headed to the White Cliffs area, parked in the NT car park and then walked east towards Langdon Hole and Fan Bay. It was a nice, foggy morning which felt later in the autumn than it actually was. 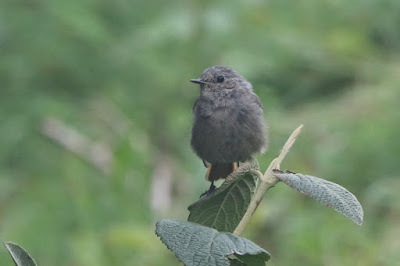 To cut it short though, the birds were decent enough with highlights being a Black Redstart in the bottom bushes at Langdon Hole and a Pied Flycatcher briefly in the gully at Fan Bay. Add to that a Tree Pipit, a Wheatear, 40 Willow Warblers, 15 Lesser Whitethroats and a couple of Reed Warblers, for a landlocked London birder it wasn't too shabby. 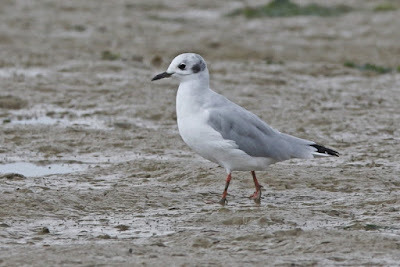 Once this was done, we headed back to Rotherhithe where there was a distant juvenile Mediterranean Gull and four Yellow-legged Gulls on the mud by the Hilton Hotel. There was also a dog briefly, but my aggressive stance towards the owner meant that it (and the owner) weren't there for long. I think those who have been with me in the past, be it Rotherhithe or Dungeness, have felt uncomfortable about how I deal with dog walkers but it does seem to work. If you don't shout or throw your wait around, then they just continue to do as they please. My hobby doesn't infringe on them, so why should their mongrels disturb my gulls! 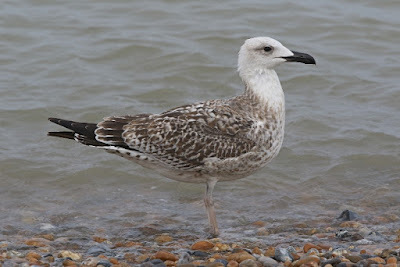 Anyway, the next day (Wednesday) I'd calmed down and after going into school to get the GCSE results (a day earlier than the kids as always), I woke the lad up from his slumber and we headed off back down to Kent. 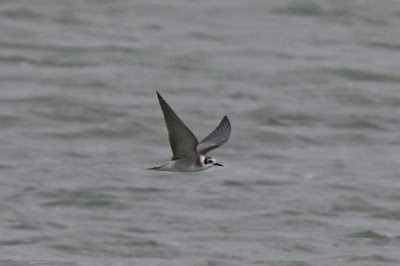 This time, to see a juvenile American Black Tern at Dungeness that had been nicely found by Stephen M the evening before. 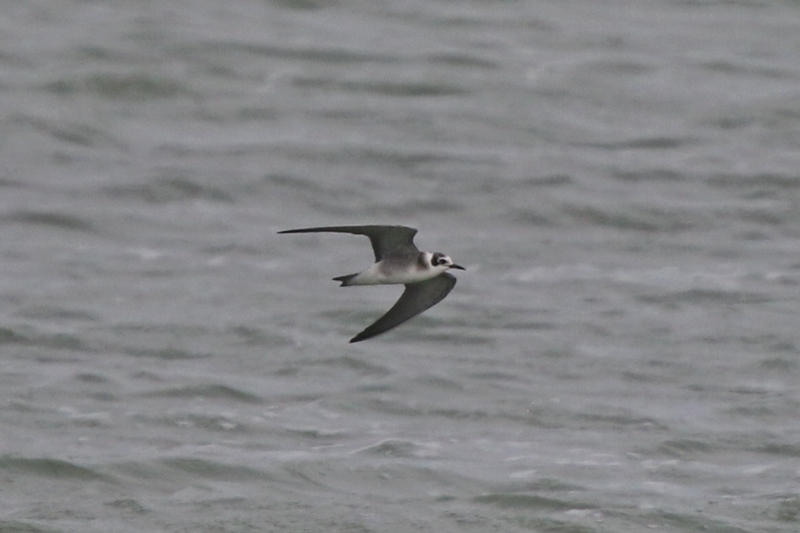 After a few minutes wait, the bird showed up hawking over the water from Makepiece Hide, along with 20+ Black Terns (the largest number of these I'd seen for a good while). And that was that. Bring on the autumn.